DESCRIPTION Located on a quiet cul de sac in the Uplands community of Hawkwood, this 2 storey home is sure to please. With over 3600 sq ft of developed space, this home boasts a front living room with formal dining area, an office/den with built in desk and French doors, a large kitchen with an abundance of cabinet space, a nook and a family room with fireplace and built in wall unit. Off the kitchen you can access the south backing deck with views of downtown, COP and the mountains. There is also a gas hook up for the bbq and a spiral staircase to the backyard. The 2nd level has 3 spacious bedrooms incl. a master retreat larger enough for the largest of furnishings and a sitting area. The 4pc ensuite is spacious and there's a large walk in closet. The basement has an additional bedroom, 4 pc bath and an entertainment centre wired for sounds surround. There is also an additional hobby room. With reference to the pool table, its included! See Additional comments below. The Uplands community offers a clubhouse with a lap swimming pool, a racquet court and gym equipment, tennis courts with basketball hoop . All available to Uplands homeowners. Just down the street is a new tot lot constructed in 2018. A short distance away, there is the Crowfoot shopping area, YMCA, Crowfoot arena, and in walking distance, two schools including the Hawkwood Elementary School K-6 and St. Maria Goretti Catholic School. ALSO INCLUDED WITH THE SALE. PATIO FURNITURE, POOL TABLE, BAR FRIDGE IN GARAGE, EXTRA FRIDGE IN BASEMENT, COUCH IN BASEMENT AND THE BARBECUE. Don't be disappointed. Call today for your private viewing! Home for sale at 723 Hawkside Me Nw Calgary, Alberts T3G 3S2. 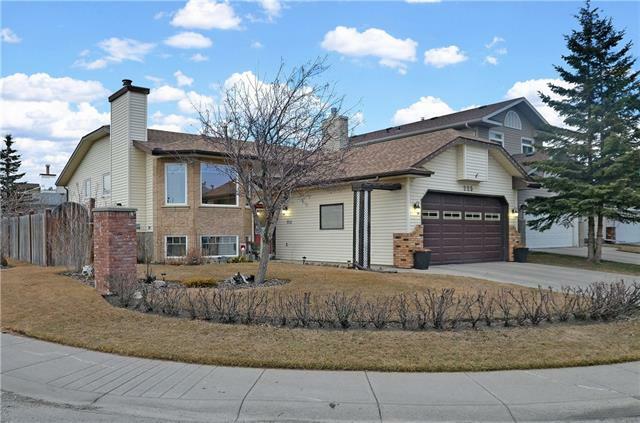 Description: The home at 723 Hawkside Me Nw Calgary, Alberta T3G 3S2 with the MLS® Number C4238762 is currently listed at $719,900.